Directed and written by Joel Edgerton. Produced by Jason Blum, Joel Edgerton, and Rebecca Yeldham. Release date: August 7, 2015. I don't know a whole lot of people who saw the trailer for The Gift, or even just looked at the cast and premise on paper, and thought that it was going to be good. 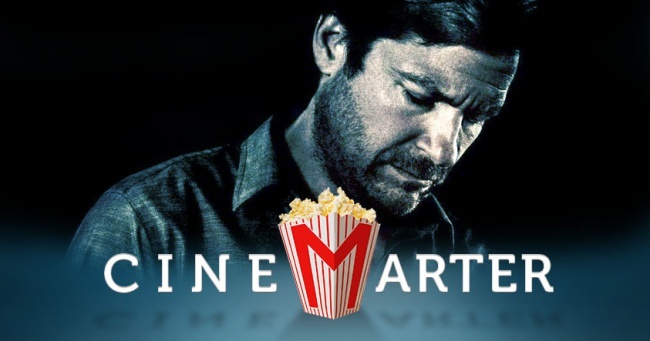 The trailer makes it look like a run-of-the-mill stalker thriller, while on paper it appeared to be a creepy project for Joel Edgerton, who wrote, directed, and played a significant role in the film - one in which he stalks Jason Bateman and Rebecca Hall. Or, at least, that's what I thought the film would be. 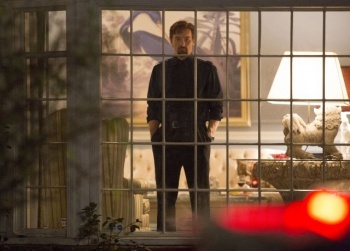 The Gift is actually one of 2015's most pleasant surprises - much like Danny Collins, although in an entirely different genre - subverting expectations at almost every turn, sustaining an incredible level of tension and suspense, and having far more intelligence than your average thriller. The premise initially seems like it's something you've seen dozens of times before. A married couple, Simon (Bateman) and Robyn (Hall), have recently moved into a new home in the suburbs. They meet an old classmate of Simon's, Gordo (Edgerton), while out shopping, and soon enough find him leaving random gifts at their home - the address of which they never disclosed to him - and unexpected drop-bys, especially when Simon isn't at home. They've got a problem on their hands. But, then, just as you think you've figured out how the movie is going to play out, it takes a turn, followed by another, and then one more. You're not going to quite figure out The Gift until it wants you to. It'll keep you on your toes throughout. Most thrillers are so mundane and predictable that you can figure them out almost from the first scene; The Gift comes as a breath of fresh air because you can't do this. It offers so many game-changing revelations that you'll struggle to even figure out who the real villain is - if there even is one. Maybe Gordo's just a socially awkward but nice guy? Maybe Simon's worse than he is. And why did the couple have to move from Chicago, anyway? Why are they touchy whenever it comes to Robyn and "the past"? All three characters have things to hide, and by the time the film reaches its conclusion, you'll have been thrown for a loop. Not only does The Gift thrill, but it also is thematically heavy. Issues of trust and childhood bullying come into play, delivering some incredibly poignant and powerful scenes - that just happen to also be very tense. Edgerton wrote the screenplay and made his directorial debut with this film, and he immediately becomes someone to watch, at least when it comes to working behind the camera. I don't mean that as a slight against his acting, though - he's been a consistently good on-screen performer for over a decade. We've just never seen him as a director or the sole writer for a film. Now that we have, we need to see more.